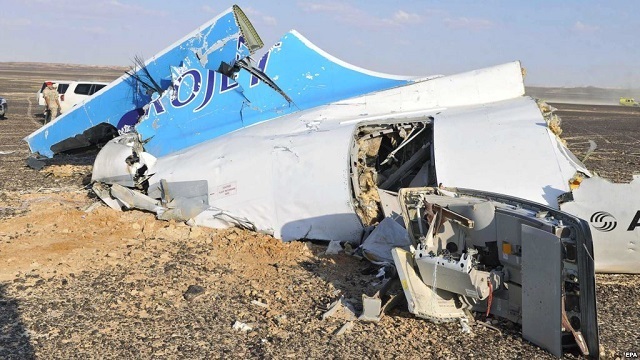 On the 31st October of this year, an Airbus A321 operated by Metrojet, a Russian carrier, crashed in the Sinai Dessert killing all 224 people on board, including 17 children. The mainstream media always like to point out that there were children involved. That makes us all go, "Ahh". It is a fact of human nature that we don't actually care about old people, they've already lived their lives but if children are involved we seem to take it much more seriously. Usually when an aircraft crashes it triggers an investigation that will last probably several years. Every component is analysed, maintenance records are checked, cockpit voice recorder scrutinised. This, it would appear is no longer necessary. We just ask the mainstream media and within minutes they have the "answer". The TWA 800 investigation, for example, took four years to complete. The real problem with this is that the general public are taken in, hook line and sinker and believe every word they are fed by the popular press without question. According to the media, popular press, television news channels etc, the aircraft was "without doubt" brought down by a terrorist attack. Without doubt? So there is no longer any requirement for an investigation and all accident investigators are now redundant. What seems less clear though is whether the aircraft was shot down by a missile or was brought down by a bomb. That is, of course, inconsequential as long as the sensationalist headlines read "TERRORIST ATTACK". Don't ever let the facts get in the way of a good story. The aircraft had reached its cruising altitude, Flight Level 310, around 31000 feet. The theory of the aircraft being shot down is a little bit suspect, even the most sophisticated ground to air missile would have difficulty reaching an aircraft at that altitude. This of course is no problem to the mass media. They will in the fullness of time, probably in small print, admit that they got it wrong but they have already planted the seed in the mind of the public. This particular aircraft was originally owned by Middle East Airlines. In 2001 it had a tail strike on landing, which was repaired. After the crash in the Sinai Desert, the tail section was found 3 miles from the bulk of the wreckage making it the most likely cause of the crash. Sparingly though, the television viewers and newspaper readers are not being given this information. 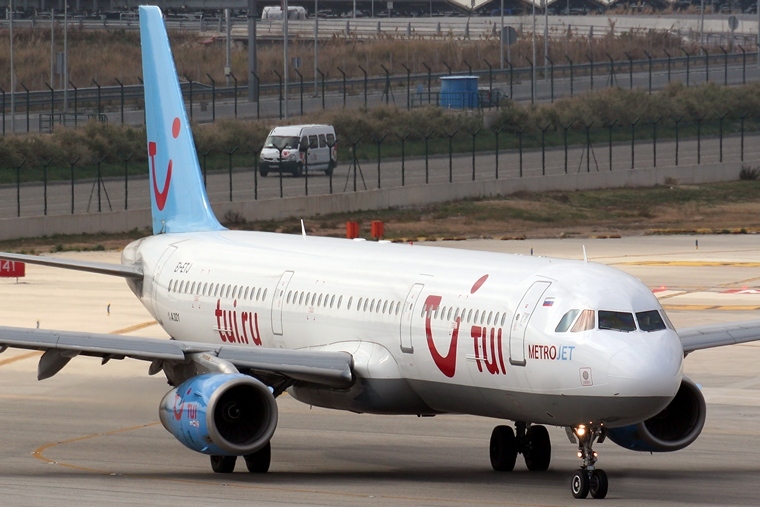 The crew of the aircraft reported a fault and asked to divert to Cairo. Flightrader 24, an aircraft tracking service accessible by the general public, shows the aircraft climb to 33,500 feet and then descend to 27,925 feet and a climb back briefly to 28,375. Not particularly consistent with an aircraft either being shot down or being blown up by an on board bomb, I'm sure you'll agree. Over and above that, another report suggests that, "The aircraft struck the ground with more vertical than forward momentum" Again, nothing like what would happen to an aircraft that had broken up at 31000 feet due to an explosion. Debris would be scattered over several miles with no single point of impact. Of course these reports are quickly brushed under the carpet so the terrorist theory can be postulated as the only possible explanation. Several "experts" are quoted, without specifying what field these people are experts in. They use vague phrases like "most likely cause" and "generally accepted" among several other equally unspecific expressions. Let us be clear. Nothing will be falsified, no lies will be told. The accident report will state what caused the crash without hiding anything. If however the cause was technical, the report will never hit the headlines and most of people that see the outcome in the bottom corner of a newspaper page won't even remember which incident it refers to. So what is the end game? You might ask. Why is it so important to governments and people in authority to have you believe that this was without doubt a terrorist attack? The answer to that is simple, people are far easier to manage when they are kept living in fear. People don't want to go to war unless they are persuaded that there is a serious threat to their own safety. The Russians, the USA and David Cameron are all angling for a war with Syria. Most of the British public are absolutely opposed to yet another war. I can't speak for the Russian or the American populations but I'm sure there is a similar anti-war feeling. The politicians on the other hand have a lot to gain. The US economy is dependent on being at war. According to Nixon the Vietnam War not about winning or losing, it was about keeping it going as long as possible. Wars are a good way of keeping more important issues like the economy out of the public eye. Margaret Thatcher went to war with Argentina to protect British interests in the Falkland Islands at a point when her popularity was at rock bottom. The war turned her ratings around and increased her standing immensely. Tony Blair tried a similar tactic going to war with Iraq. That decision came back to bite him, hence the need to keep the general public believing they are under constant threat. The truth in a democracy is whatever the politicians and mainstream media want it to be. Politicians will use this event for their own ends regardless of the facts. Prepare yourself for even more humiliating and de-humanising checks at airports to keep the fear alive.